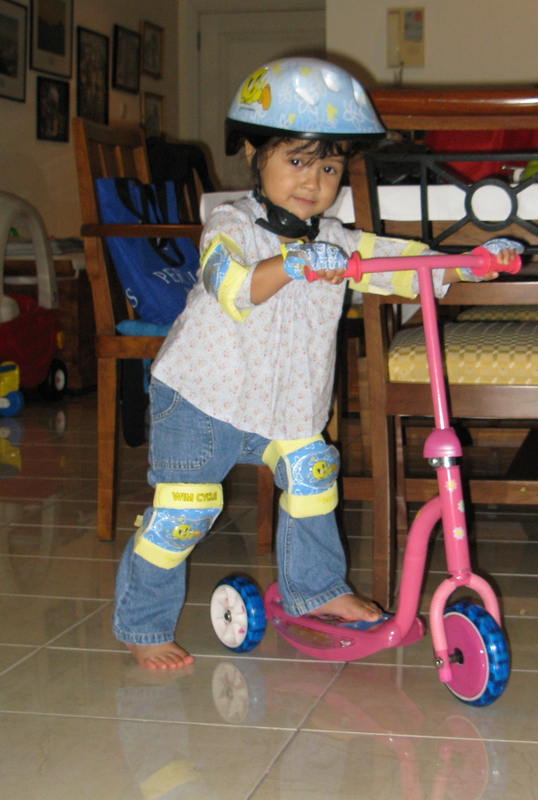 Our Little Miss and her first scooter in Jakarta, Papi made her wear all the “safety gears” before she ride it inside the house. 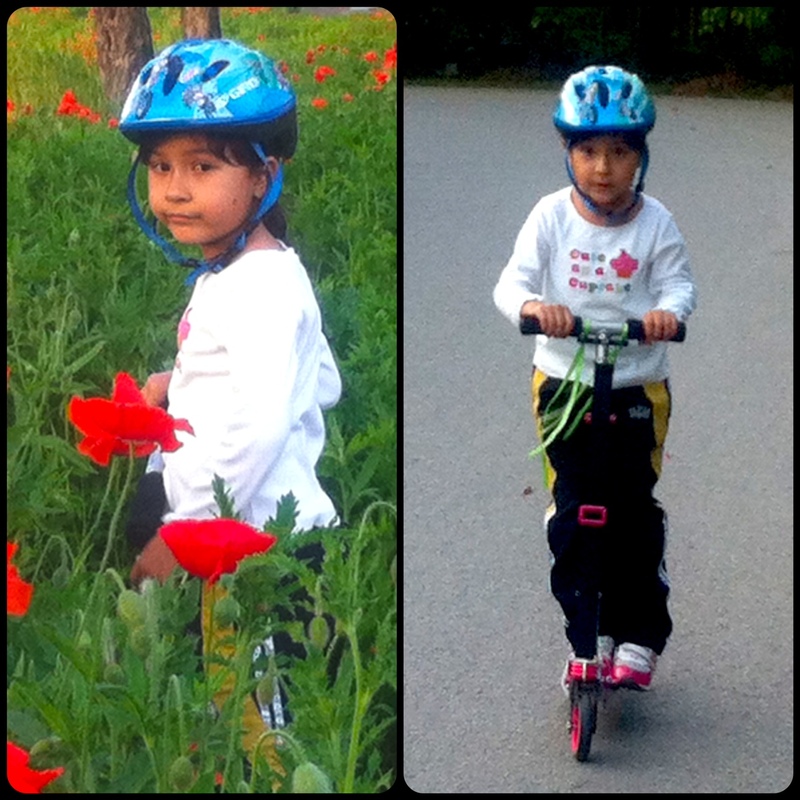 And this is her cruising at Century Park 4 years later with her 2nd scooter. As you can see safety gear is still a big deal in our household, no helmet no play, but she told me she is ready for bigger scooter! What great pics! Safety gear is a big thing in our home too. Thank you, its amazing how fast they grow. I’m glad to hear that your children is wearing safety gears too, its not a common practice here (maybe not yet) so sometimes Little Miss try to talk me into not wearing them, but not a chance. It’s not that common here too, although some people are catching up. My 2 year old wore a helmet when he started cycling – we got lots of stares!